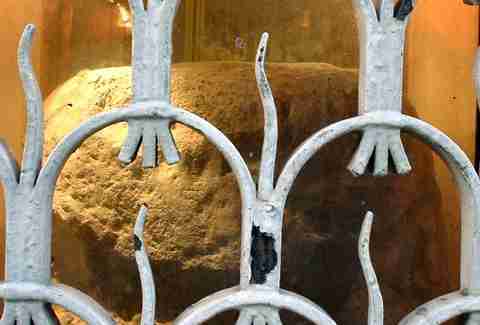 Protected by an elegant iron barrier on Cannon St, this is the London Stone. It was first recorded in literature and maps almost a thousand years ago (in 1100 AD) but probably dates from well before then. It's literally just a stone -- there's no inscription, or marking, or apparent use. We have no idea who put it there, or why. All we know is that we must keep it safe. Seriously. 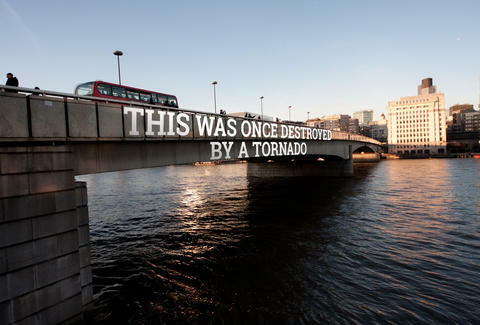 In 1091, an F4 tornado (that's literally the second most powerful on the scale) unleashed its Old Testament, Michael Bay-style fury on the nascent capital, taking out 600 houses and the then-wooden London Bridge... which they rebuilt in stone. 3. 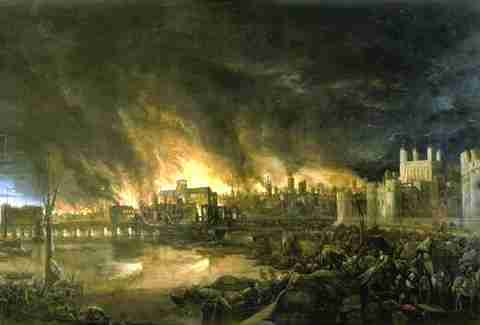 There have been three "Great Fires of London"
Well, it turns out that assuming rebuilding London Bridge out of stone would make it disaster-proof was just plain naive. 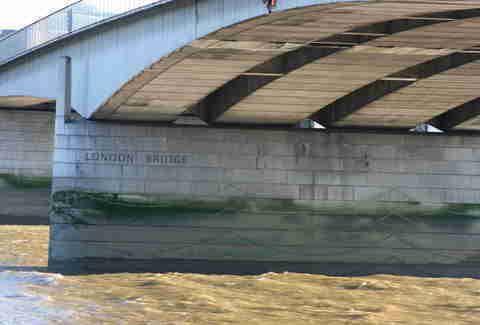 After the first Great Fire of London (1135) actually started on London Bridge, the second (1212) finally toppled it, taking an estimated 3,000 people with it. See that grass? That's technically part of the USA. You see, by 1921, America's oldest enemy had become her closest ally. 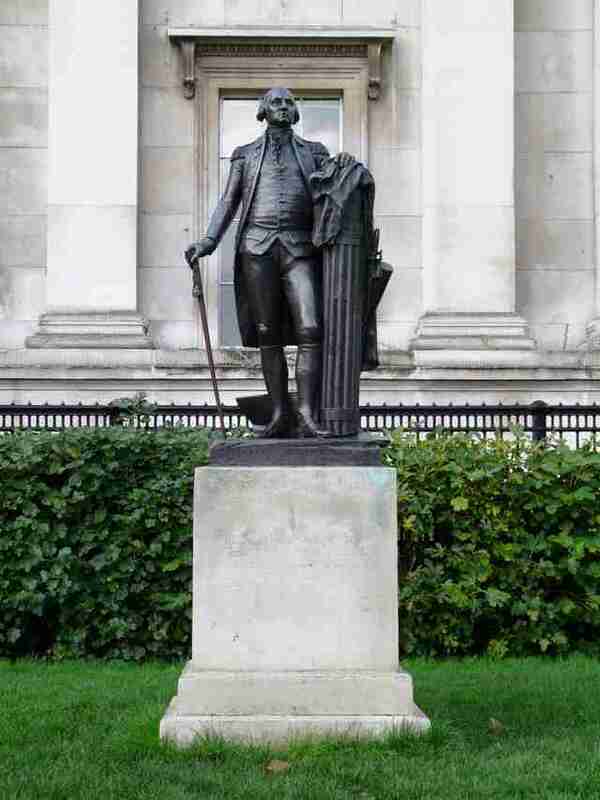 They felt good enough about the whole thing to send us a statue of their beloved George Washington, and we felt good enough about the whole thing to proudly place it in Trafalgar Square. The only person who objected... was George Washington. He famously declared "I will never set foot in London again!" and everyone took that quite seriously. The solution? Soil from Virginia was shipped in, and placed under the pedestal of the statue. 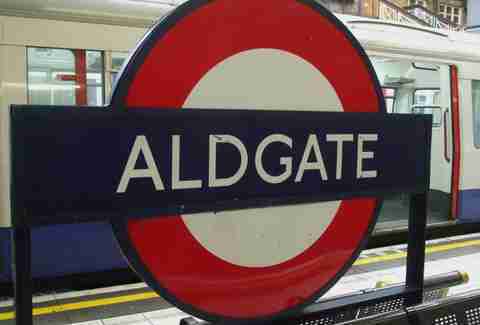 It's only got eight stations, and it's been closed for the last decade, but it's still there. 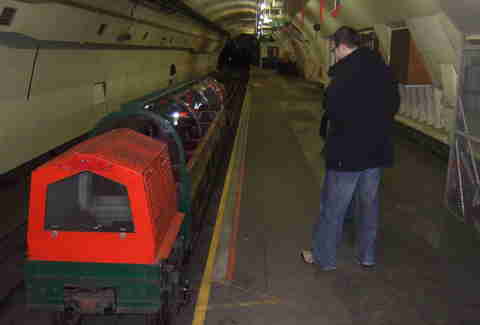 Its trains are an adorable 2ft wide, and it carried mail across the city -- from Liverpool St all the way to Paddington -- for over 70 years. 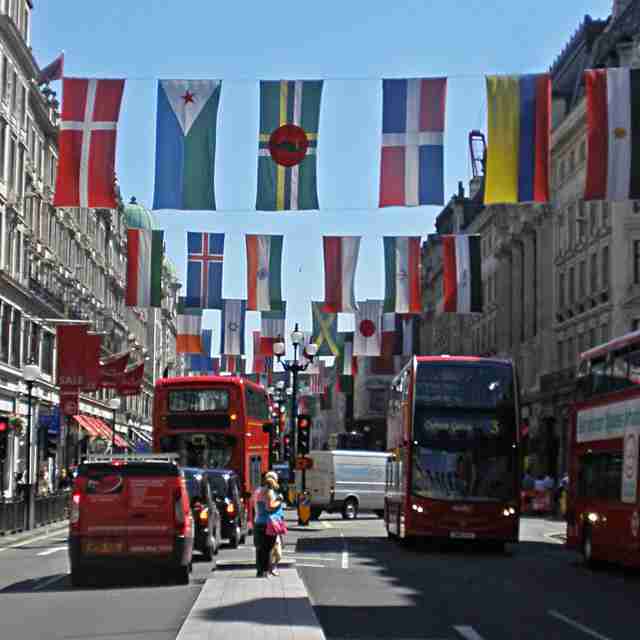 Nope, not in Marylebone. Not in Westminster. Not even in Zones 1 or 2. 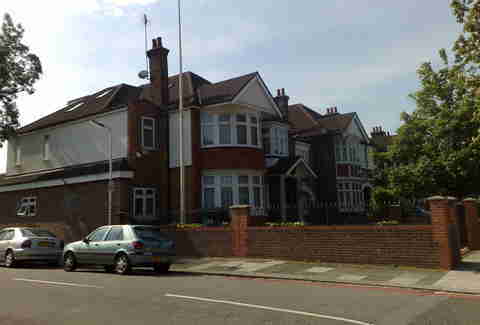 It's in Ealing, in a detached, suburban house. They have a North Korean flag flying outside, and their neighbors invite them over for bowls tournaments. Yes, during WW2, when Jerry was jackbooting his merry way across the continent, the only safe haven for displaced foreign governments was London. The Polish were the first, taking advantage of a provision in their constitution which allowed for government-in-exile. The king of Norway soon followed, then the Belgians, the Dutch, and finally the free French. Why? Because it's a plague pit. The place you throw bodies willy-nilly and with a swift blessing from a nervous priest during the Black Death. The really surprising thing about mass graves like this is that there aren't more of them. Or... maybe there are?! The word "lost" is used more figuratively here -- they're rivers after all, and you don't just go and lose them. The reason they're so hard to pin down is because for the most part, they're subterranean, and the reason for that is that we literally built the city on top of them. 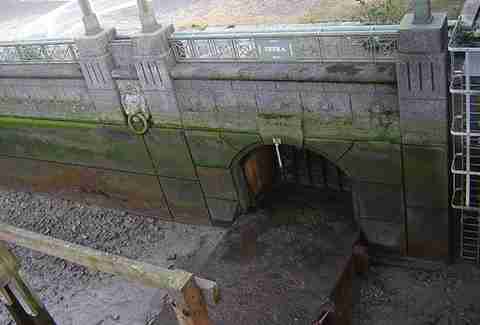 In fact, most of them now flow under our feet through man-made culverts. 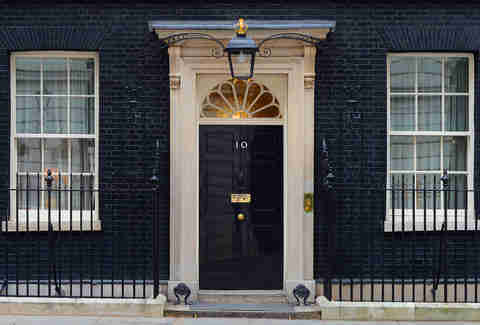 Is this 10 Downing St? Or is it 10 Adam St? Well, to the untrained eye, it could be either. Although, if you actually do go there, you'll need to crop your photo somewhat. 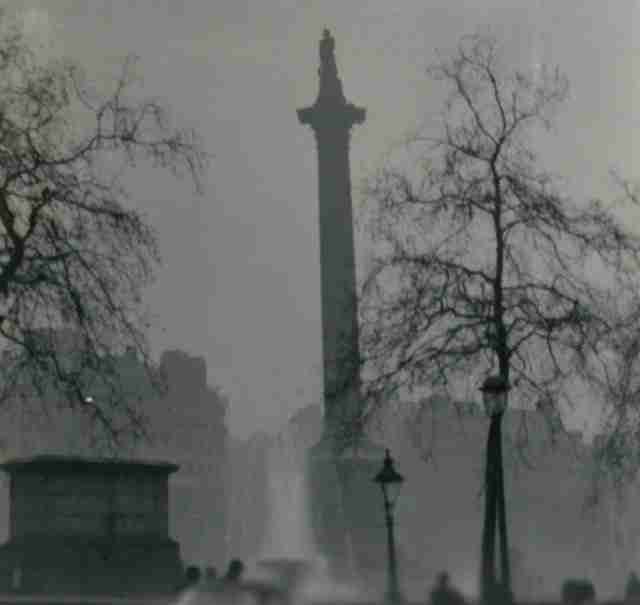 You see this Beijing-level smog shrouding Nelson's Column? This is London in December of 1952. A perfect storm of coal fires, cold temperatures, and windless weather led to a five day period when the the smog was so chokingly thick that a staggering 100k people were admitted to hospital with respiratory illnesses, and 12k of them died.